We've had our fair share of Windows Phone app and game roundups here at WPCentral. The other day Nokia created their own app roundup by asking visitors to their Facebook page to name their favorite Nokia Lumia app. Recommendations quickly filled the Facebook post and after tallying the responses, the results were posted over at Conversations Nokia. The list was diverse and not necessarily limited to Nokia apps. Here are the top recommendations from Nokia's straw poll. Photosynth (free): Photosynth is a photography app from Microsoft that lets you stitch multiple images together to create some interesting panoramic images. Images can be uploaded to your Photosynth account and viewed/shared online at the Photosynth website. 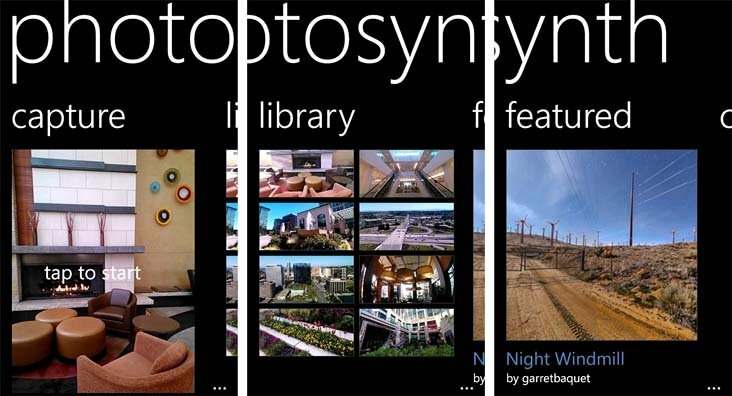 You can find Photosynth here at the Windows Phone Store. Fruit Ninja (trial/$.99): Here's an Xbox Windows Phone Game that has you slicing and dicing fruit. Fruit Ninja is an addictive, entertaining, well drawn out game for your Windows Phone. You can grab Fruit Ninja here at the Windows Phone Store. Whatsapp (free): WhatsApp is a free messaging app the is available for Android, BlackBerry, iPhone and Windows Phone platforms. You can message over Wifi or while on the go using your data plan. You can also have group chats and share photos/videos. 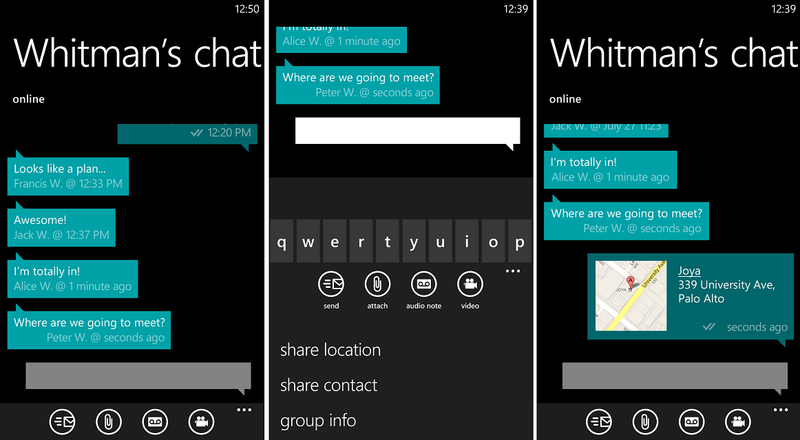 You can pick up WhatsApp here at the Windows Phone Store. Evernote (free): Evernote helps you remember and recall anything that happens in your life. From notes to ideas to pictures to recordings, Evernote helps you jot it all down and syncs your notes with online. Which in turn is accessible through your computer. 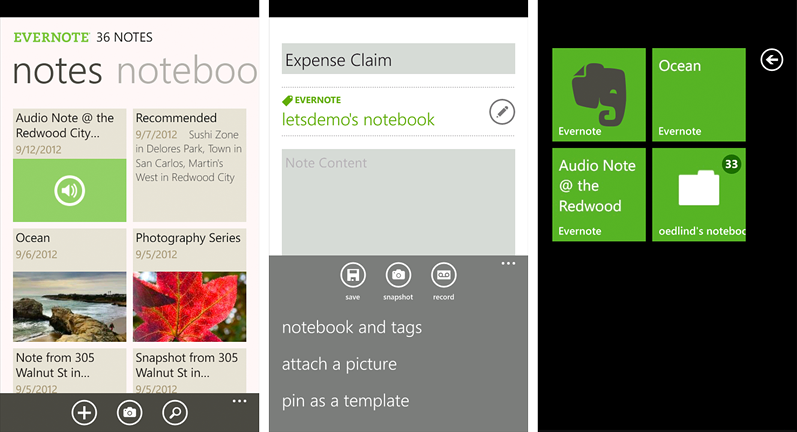 You can find Evernote here at the Windows Phone Store. Nokia Drive (free): Nokia Drive is a navigation app that is an exclusive to the Nokia Lumia Windows Phone. With offline (downloadable) maps and support for over fifty languages that spans over one hundred and ten countries. You can find Nokia Drive here in the Nokia Collection on your Lumia Windows Phones. Nokia City Lens (free): Nokia City Lens is a location based app (exclusive to the Nokia Windows Phones) that will show you what's near you. From gas stations to entertainment to dining to hotels, City Lens helps you find what you're looking for. There is also an augmented reality feature that flags establishment from your camera's view. You can find Nokia City Lens here in the Nokia Collection on your Lumia Windows Phones. 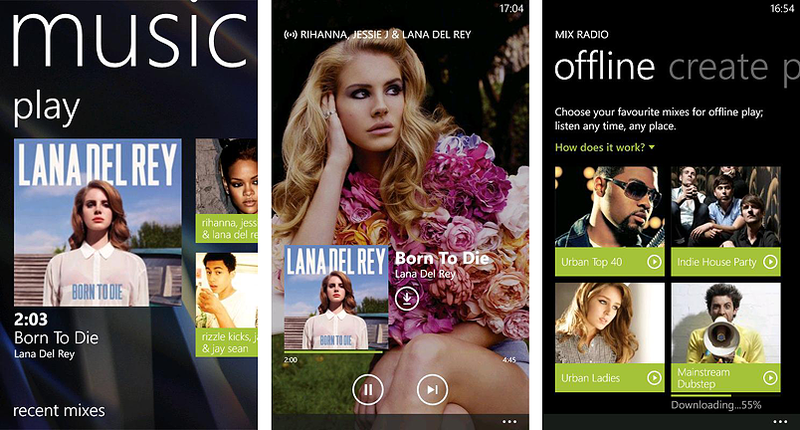 Nokia Music (free): Here's another exclusive app for the Nokia Windows Phones. Nokia Music offers streaming radio mixes as well as downloadable tracks that can be purchased for offline use. The Nokia Music library has 15 million tracks to surf through. You can find Nokia Music here in the Nokia Collection on your Lumia Windows Phone. There were a few honorable mentions asides from these top seven apps that included Snake, Angry Birds, Bloomberg, and Nokia Trailers. 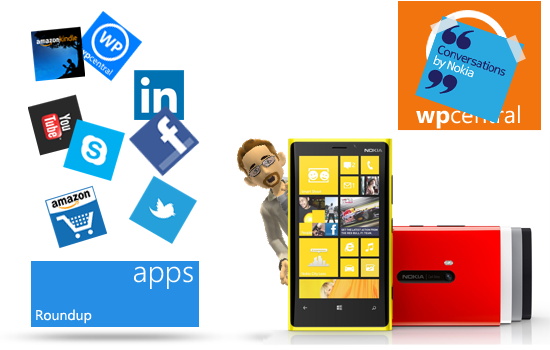 All in all, it's not a bad list of apps to have on your Windows Phone. Granted some of these apps are exclusive to Nokia Windows Phones but then again, it was generated by Nokia Windows Phone users.